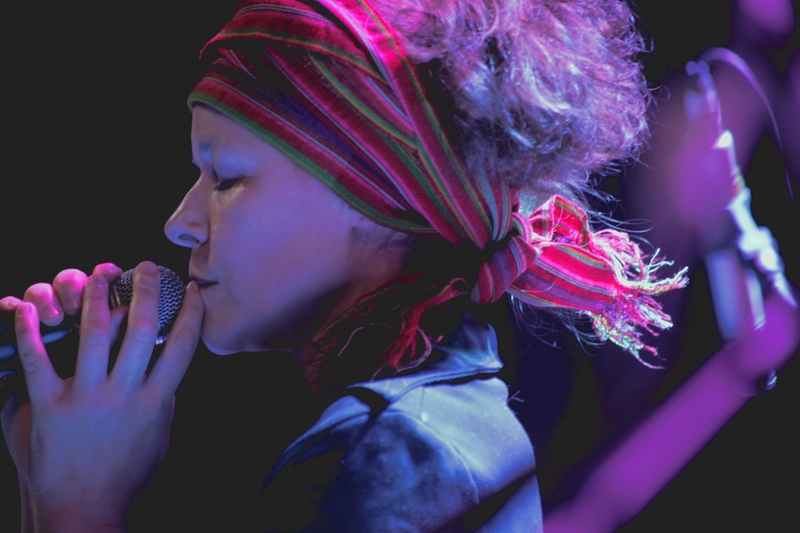 among its constituents; builds audiences for international music and creates new opportunities for artists leading to a more robust and sustainable ecosystem for world music in the United States. Artists that participate in gF programs represent diverse musical styles from all corners of the globe, ranging from traditional to contemporary, and everything in between. Programs include: the gF Touring Fund, which provides direct support to artists to develop new markets; gF On the Road, a tour that brings creatively programmed lineups to venues nationwide; and guest curating in both commercial and performing arts settings, including such influential events as SXSW, Bonnaroo, Lincoln Center and beyond, that serves to raise the profile and visibility of the artists gF works with, and world music overall. 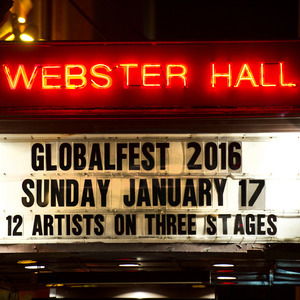 globalFEST has showcased over 100 bands, and 1,000 musicians over the past 10 festivals, plus presented performances at Bonnaroo, SXSW, Festival d'Ile de'France and more. 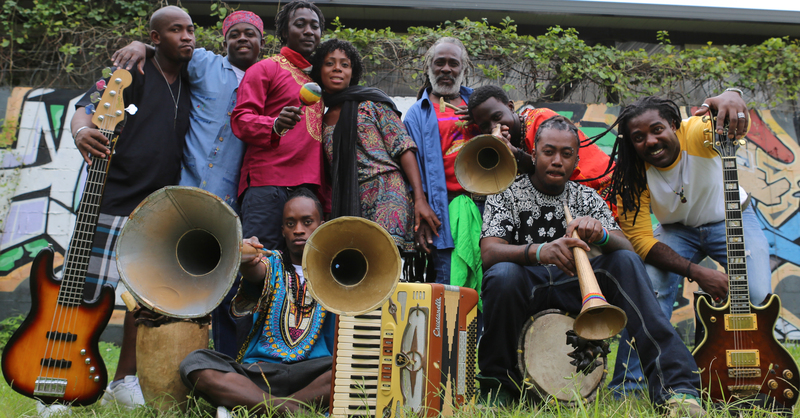 With support from the Ford Foundation, globalFEST has also runs the globalFEST Touring Fund (gFTF) which supports performers from previous editions who need financial support to help bring them to new communities. Cultural guardians and ebullient party bands. Soul divas and avant-cabaret performers. 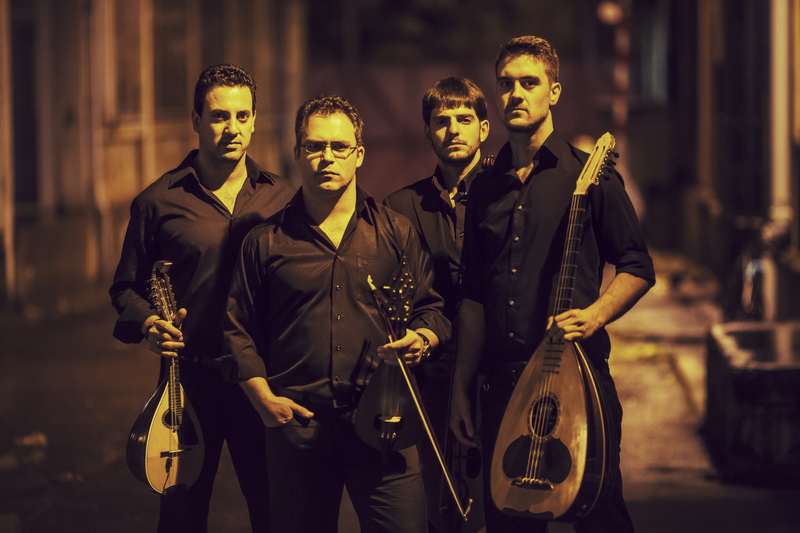 Music that addresses current headlines, and sounds that summon age-old traditions. 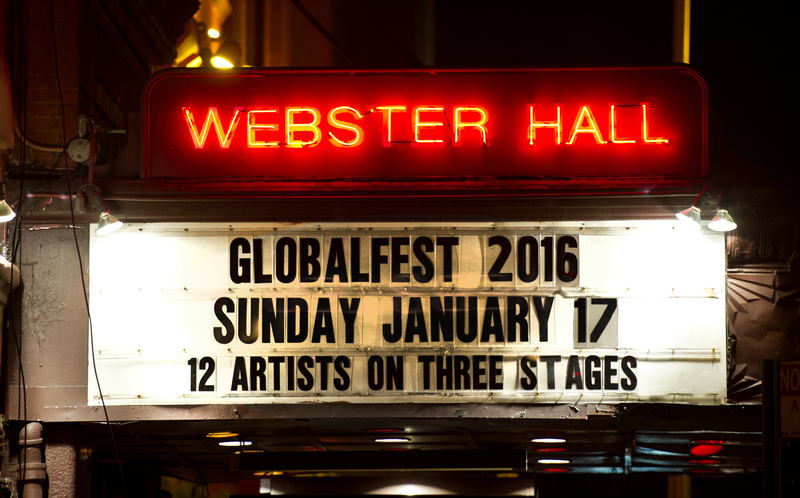 For one night, New York’s Webster Hall becomes home to all of these ideas and to the many faces and offshoots of world music, as globalFEST returns for its 13th edition on Sunday, January 17, 2016. The annual showcase festival, the flagship project of a rapidly expanding organization that serves the performing arts field, gives an instant entry point into the powerfully diverse, wide-ranging world of global music, from the electronic to the edgy, the beloved to the wonderfully unfamiliar. 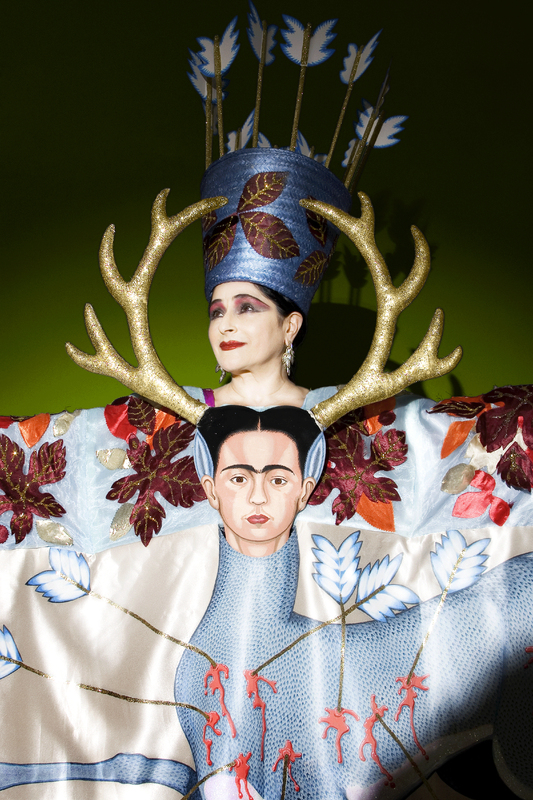 Surprises like Astrid Hadad, a cult figure in performance and cabaret, whose off- the- wall musical appeal and wow-effect show presents a surreal view of Mexican folk and pop culture. 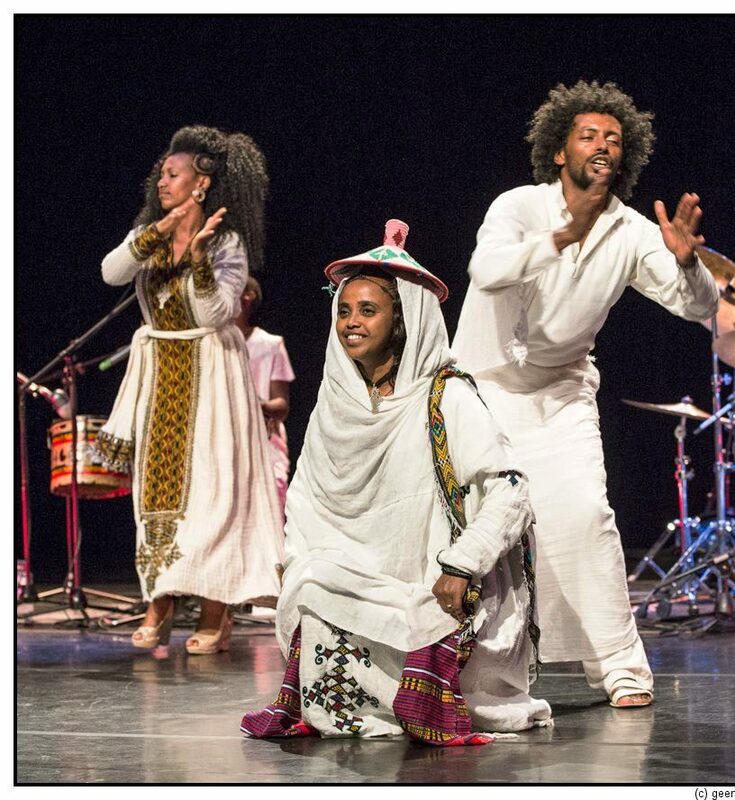 Or Fendika, one of the foremost ensembles from Ethiopia, who have reinvigorated the traditional music and dance scene in Addis Ababa, and collaborated with such far-ranging artists as previous globalFEST performers Debo Band, and Dutch post-punk icons The Ex. 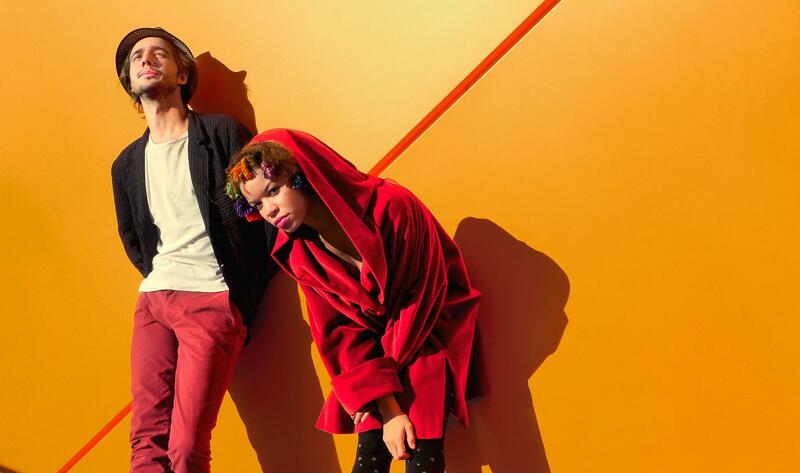 Younger artists are reshaping the lineages and well-loved ideas of their native regions, finding radical connections and unexpected resonances. 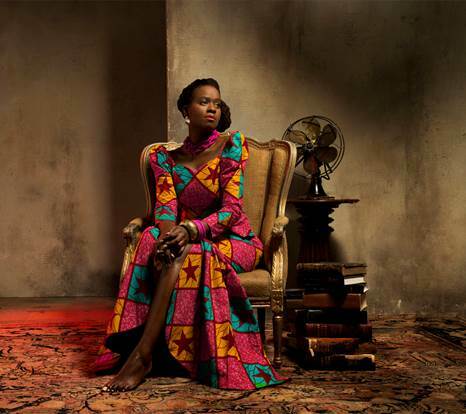 With roots in East Africa, Somi looks to Nigeria to draw on the cosmopolitan attitude of Lagos, with modern jazz and soul grooves. 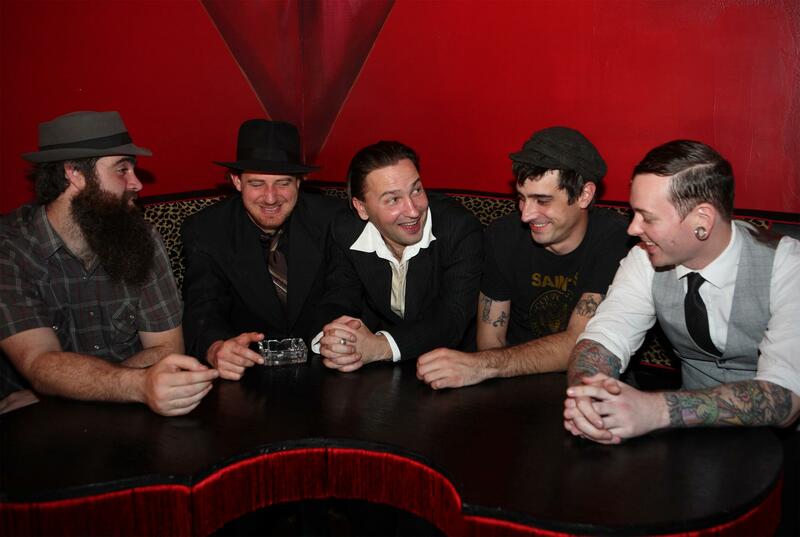 Debauche picks up the raucous Gogol Bordello torch and finds the secret tie binding New Orleans and Odessa. 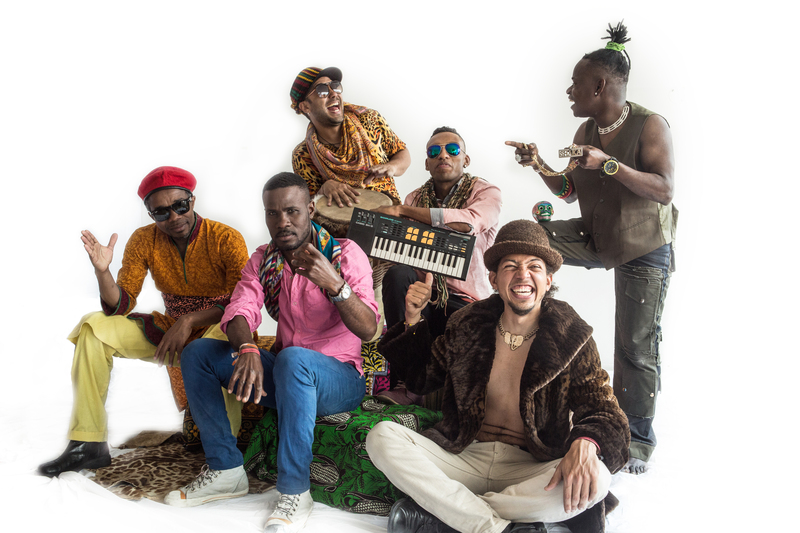 Tribu Baharú re-ups the propulsive Afro-Colombian beats of champeta (sometimes referred to as “Colombiansoukous”) with day-glo glee. The stories globalFEST artists tell, however, go beyond the musicological or entertaining. From the quiet but bloody war facing Ukraine—a subject that fires Mariana Sadovska’s recent work--to the ongoing struggles of artistic communities in Haiti (Lakou Mizik), globalFEST aims to highlight musicians who can speak profoundly to the trials and joys of a place’s musical culture. To bring less familiar sounds into new markets has always been globalFEST’s goal. 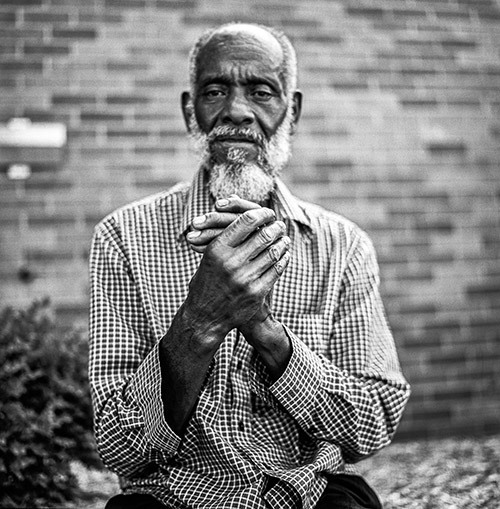 The 501(c)3 not-for-profit service organization provides artists support, including funds for touring, curates a national 38-market package tour (produced by CAMI Music), and works with music festivals like Bonnaroo and SXSW to expand the scope of their programming.. As the world changes, and as music from all its corners reaches more and more listeners, the organization has strived to keep opening minds and ears to what “world music” can be. 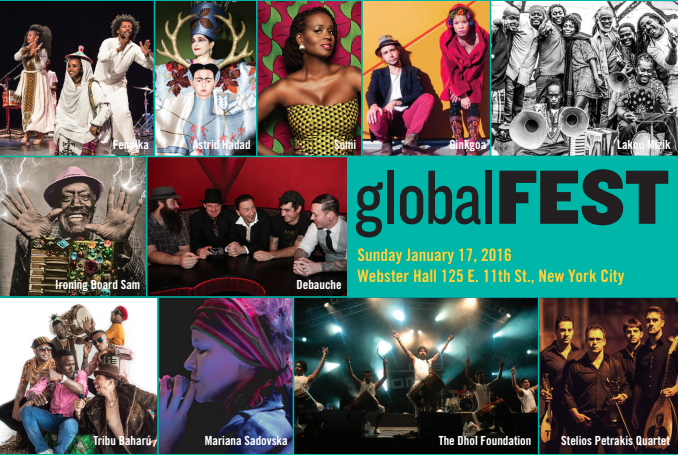 Over the last decade, globalFEST (gF) has become one of the most dynamic global music platforms in North America, growing from an acclaimed festival/showcase into a catalytic non-profit service organization for curators, artists, and the performing arts field. Through its work, gF encourages networking and cultural diplomacy; deepens cultural understanding among its constituents; builds audiences for international music and creates new opportunities for artists leading to a more robust and sustainable ecosystem for world music in the United States. Artists that participate in gF programs represent diverse musical styles from all corners of the globe, ranging from traditional to contemporary, and everything in between. Programs include: the gF Touring Fund, which provides direct support to artists to develop new markets; gF On the Road, a tour that brings creatively programmed lineups to venues nationwide; and guest curating in both commercial and performing arts settings, including such influential events as SXSW, Bonnaroo, Lincoln Center and beyond, that serves to raise the profile and visibility of the artists gF works with, and world music overall.